I admit it. I have a 'thing' about hair in my writing. Not in real life. My hair is brown going grey and tough. It goes its own way and if it's cut 'wrong' then it will spike. I have it cut short and leave it alone. We get along fine. But in my romance novels, I love hair. What colour will the herone's hair be? How long? Wavy? Curly? I always like to imagine my main female character's hair. I kept in mind the meaning of her name all the time I wrote her - and her hair. It's a sweet vice but I have to be careful. Sometimes I have have my characters spending too much time 'fiddling' with their own or others' hair - stroking, patting, tweaking, adding flowers. My heroes are usually as hair-fixated as I am and sometimes I need to remove some of their petting. Why a dark-haired hero? I've never quite understood that romance 'guide'. Guillelm in A Knight's Vow is blond, a golden dragon. (Again, I use the colouring as my own reminder and key to character) Marc in A Knight's Captive has darker hair and a beard which he shaves off - to "reveal" himself. I've written dark-haired heroes but to me it's not an essential. "Still sprinting, Sarmatia shook her long brown hair out of its plait, laughing when a colt started back from her. She mopped her sweating face and pointed to the stream. The stallion wheeled round and headed for the water, Sarmatia keeping pace with his easy canter. One by one, they lost the other members of the herd to the lush grazing of the stream meadows, but they themselves drew closer, the horse's long mane and Sarmatia's hair mingling on the breeze in a weave of shades and textures. As they ran the sun poured golden from them both, like spray from sporting dolphins." Her hair is different from the people of the Northern tribe where she settles with Fearn, the hero of . Fearn is a red-head, and many of his tribe are auburn or blond. Fearn has red hair to mirror his quick temper and to hint at his paranormal powers. I wanted him to 'show up' and he does! 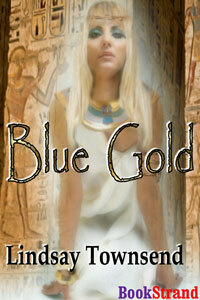 "Kutatos had not told her that Ramose was Nubian, dark as a rare pearl. And the man beside him, fully as tall, white as Ramose was black— her breath hissed in her throat when she looked on Fearn for the first time. The healer had red hair, a red-gold beard. He glittered in that fierce Kretan sunlight. A bright stare mirrored hers then Fearn bowed his head." Sarmatia clearly likes red-heads because she has a chestnut horse, too. I like to use hair to confound stereotypes. One of my heroines, Ahhotpe, is blond - but she would never have a "blond" moment. She is a dangerous, calculating, kindly, devious princess. She makes the most of her unusual colouring in the court of her father, the Pharaoh Sekenenre, and uses her blond hair to her advantage. So I have fun with hair. I've had curly haired heroes and heroines, long haired heroes and heroines, shorn heroes. 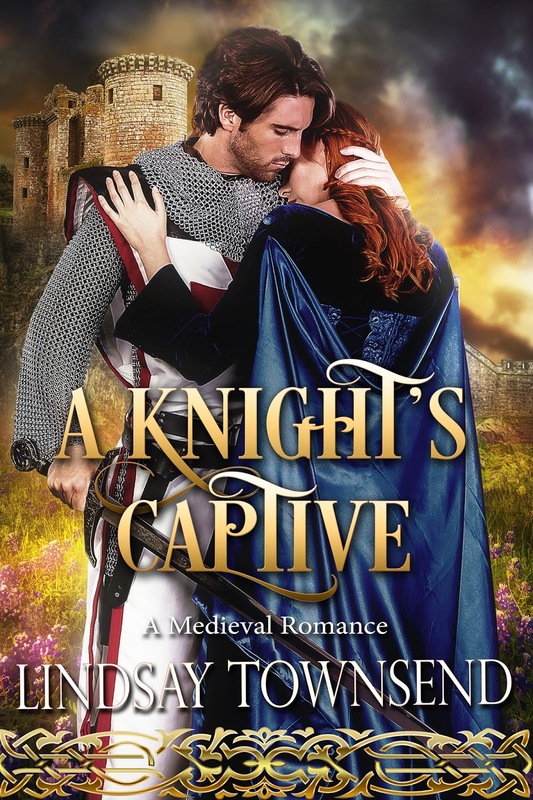 I've had heroines caught by their hair - Joanna, the heroine in my third knight novel, A Knight's Enchantment is trapped by her long hair while trying to escape. "He applauded her invention in emerging not from the riverbank but from the Nile itself. No other woman would have had the courage to make a path for herself through the tall papyrus, risking the malice of snakes and other riverside creatures. When she first appeared, rising from the river with a beating of birds’ wings, sun flashing on her pale hair, even Sekenenre had trembled. The waterfowl fluttered around her outstretched hands as though waiting to receive a blessing, then passed in a rush of color straight over Sekenenre’s head." hair is grey. The contrast to me is delicious and it also hints at deeper trouble. His hair has turned grey as the result of the shock of what he has been forced to be, in order to survive - a gladiator. Your books sound wonderful Lindsey and I agree with you, I'm a bit hair fixated myself. I've always wanted long, red hair. And thick. My own is very fine. My heroine in 'Starquest' has long, wavy red-gold hair, because I wanted a hint that she was not a 'pushover' although she's not ill tempered, just feisty. My heroine in the sequel has ankle length, long jet black hair, and the hero's is curly and dark auburn. I tend to go for dark haired heroes for some reason, but in Starquest, Dahll is very blond, while my other main character, Kerry, is dark with blue eyes. I definitely agree that hair, colour, styles and type can add a great deal of depth to a character. Hi Hywela! Your heroines sound to have wonderful hair - I love red-gold hair and the heroine with ankle-length jet black hair sounds wonderful! I like the contrast of Kerry - dark hair, blue eyes. Have you red-heads in your family? My dad was auburn and he didn't go grey - he went blond instead!